If you have been injured in an accident and need cash now, Bridgeway Legal Funding can help! 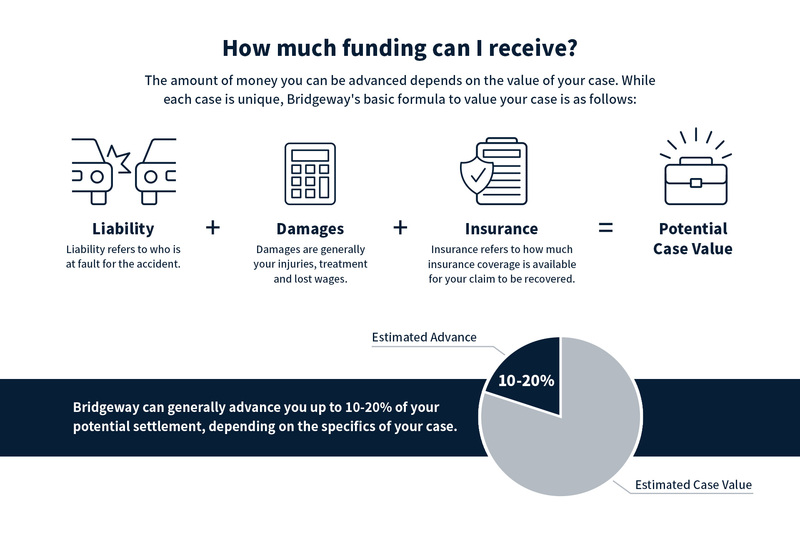 Bridgeway provides cash advances to plaintiffs involved in personal injury lawsuits. A cash advance on your future lawsuit settlement can help cover daily living expenses, rent and car payments, emergency medical costs and much more! 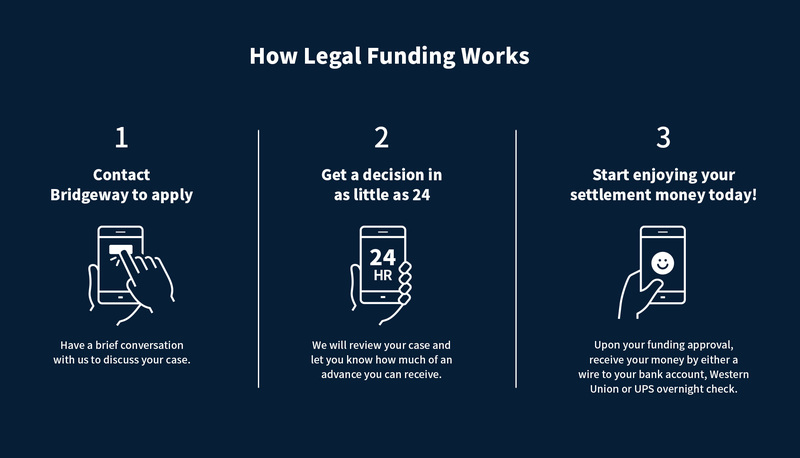 Lawsuit funding can provide you and the financial flexibility you need now while your lawyer fights for the full value of your case. All funding is non-recourse, meaning that if your case is unsuccessful you owe Bridgeway nothing! Advances can be completed in as little as 24 hours from contacting us. Apply Now! If you have been injured in a car accident and need cash now, Bridgeway Legal Funding can help. Bridgeway specializes no risk cash advances or "lawsuit loans" that help cover emergency expenses, bills, rent and much more. Injuries sustained in a car accident can cause all sorts of hardship physically but equally as troubling financially. Being forced to miss work and go to doctors appointments for injuries can really cause your bills to pile up fast, Bridgeway can get you the money you need today.